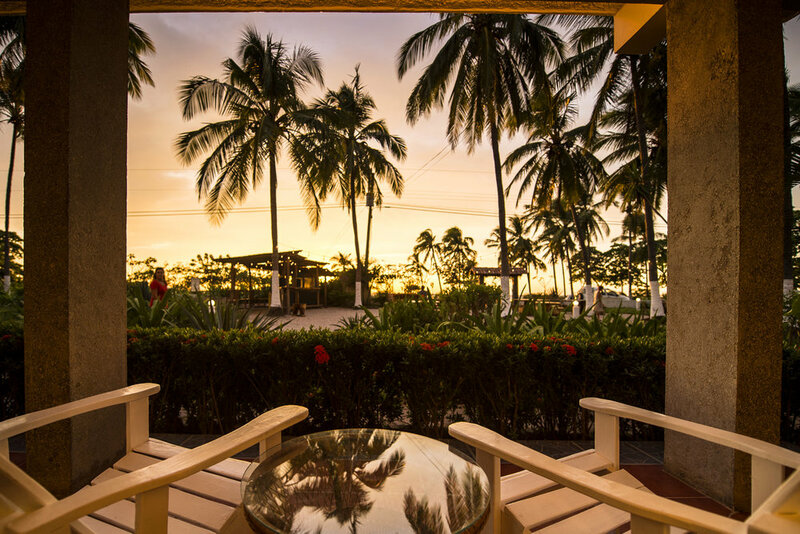 The sands of Costa Rica are steps away. 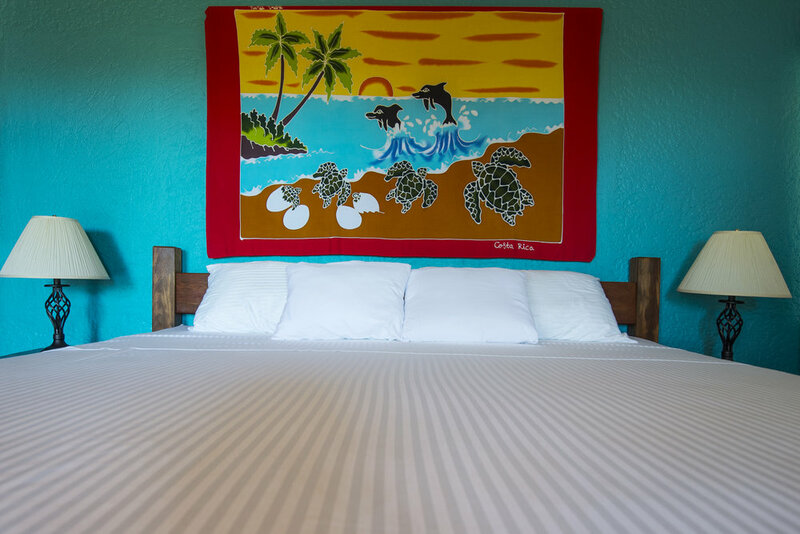 Our Coral and Dolphin Ocean View Cabinas are located on the ground floor of the main building at Playa Junquillal Eco Resort, just steps from our beach bar and some of most most beautiful beach in the world. Each of these rooms also have a small outdoor patio space including a touch of Canada with a pair of Muskoka chairs to enjoy the sunset.